After Builders Cleaners Commercial & Residential Hounslow TW | Quality Property Care Ltd.
Don`t hesitate to get more detailed information about our top-notched and reliable after builders cleaning service! Contact our understanding and polite customer support representatives via this phone number: 020 3746 4287! Make a quick reservation and deal with the grime without even sweating. Kitchens also get a special treatment, with attention to range hoods and stove tops cleaning, backsplash and bench top cleaning. In case some paint or plaster has gotten on the cupboards, we wipe their fronts down, including a specific finish to keep them safe from dirt, the exteriors of fridges are polished and cleaned if the finish allows it. We clean inside and out of the microwave oven, with the sink left shining free of debris and junk. Again we pay attention to the finer details like fixtures around the kitchen, door handles, on top of door frames, fingerprints cleaned from light switches and doors frames, with floors mopped and vacuumed. All of the window sills are wiped down to ensure full cleaning. 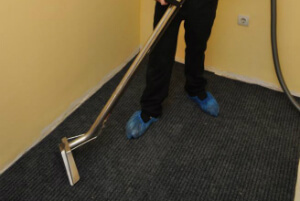 Quality Property Care Ltd. is an experienced after builders cleaning company. Being on the market for 12 years, we have discovered the secret to a successful cleaning service: the specific approach to each client. This is why the helpful and talented after builders cleaners are instructed to make a preliminary visitation in the property. It makes it easy to make a whole after builders cleaning plan, settle the right date for the procedure and calculating the final price for the service: depending on the hours that are needed for the cleaning service. Please, note that you can leave your instruction to the enthusiastic after builders cleaners, too. They are all English speaking, friendly and understanding technicians with proper skills and edication. The expert after builders cleaning in Hounslow TW - guarantee for effective refurbishments!